A few months ago way back in July during the middle of a heatwave, my friend Gemma invited me out for afternoon tea at Moggerhanger Park. She wrote this amazing blog post on the experience, and because I’m a terrible person who can’t write about things after they’ve recently happened, I’m writing about the whole experience now, in October. Well done Lisa. 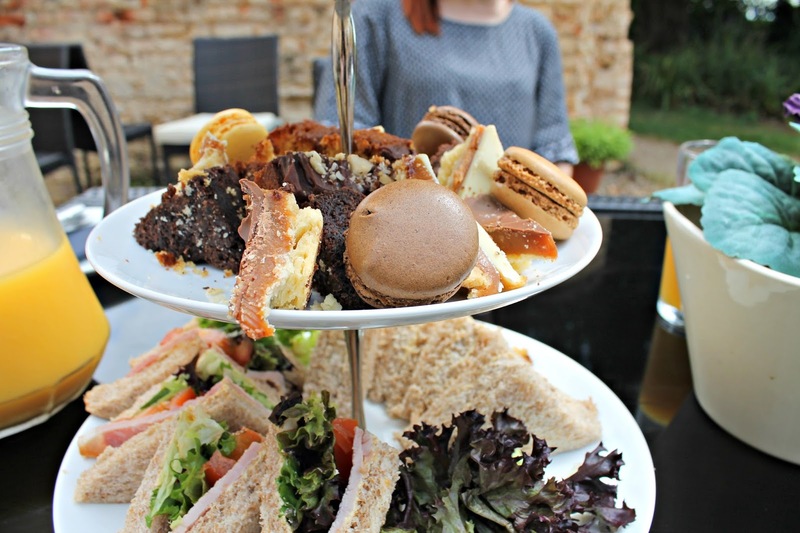 Can we just talk about my love for afternoon tea for a second? I’m a big fan. Give me tiny sandwiches, cakes and a pot of tea and I’m beyond happy. Since two of my friends introducing it to me a couple of years ago for my birthday it’s now my new favourite thing to do. 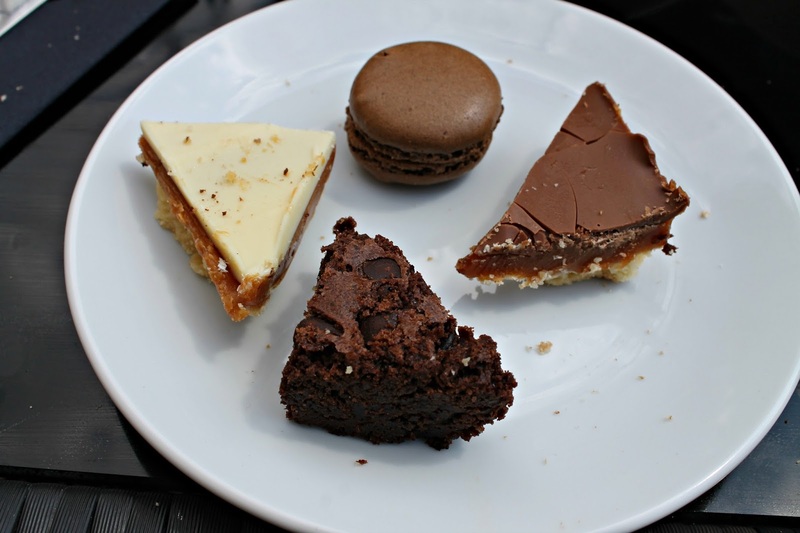 I will find any occasion to go for afternoon tea, and I even hunted one down in Manchester for my mum with her many food intolerances at Sugar Junction, that’s just how much I love it. So when Gemma mentioned that she hadn’t gone for afternoon tea before and asked if I wanted to join her, you can just imagine how excited I was about this. I hadn’t been to Moggerhanger Park before, even thought it’s on my own doorstep in Bedfordshire, so I didn’t really know what to expect from the whole experience. But when we pulled up we were greeted by lots of happy looking roaming sheep, and the beautiful main house. It definitely looked like the perfect relaxing atmosphere that Gemma and I needed for a well deserved treat. Once we entered the main house we were escorted to the courtyard, as we decided to sit outside and make the most of the British summer. However we decided to pick a table without an umbrella shading us, so it did start to get a little warm! We were then provided the largest jug of cold orange juice which was exactly what we needed on this hot afternoon, and I had a massive pot of tea to myself because I’m a complete and utter tea addict. The afternoon tea itself was made up of delicious looking scones complete with clotted cream and jam, cake, macaroons, tuna mayo and BLT sandwhiches, oh and did I mention, the most amazing cakes?! Seriously, just look at the cakes. I have a complete weakness for millonaires shortbread so I was beyond pleased to see we’d been offered some. The scones were also made perfectly, not too crumply or dry, and absolutely delicious. Gemma and I both like our food, but boy there was a lot of it, and with the boiling sun we were starting to struggle, so we had to admit defeat. The whole experience was amazing, being able to have a couple of hours with a friend to chill out in such a beautiful setting with delicious cake, it’s certainly something Gemma and I need to do again. 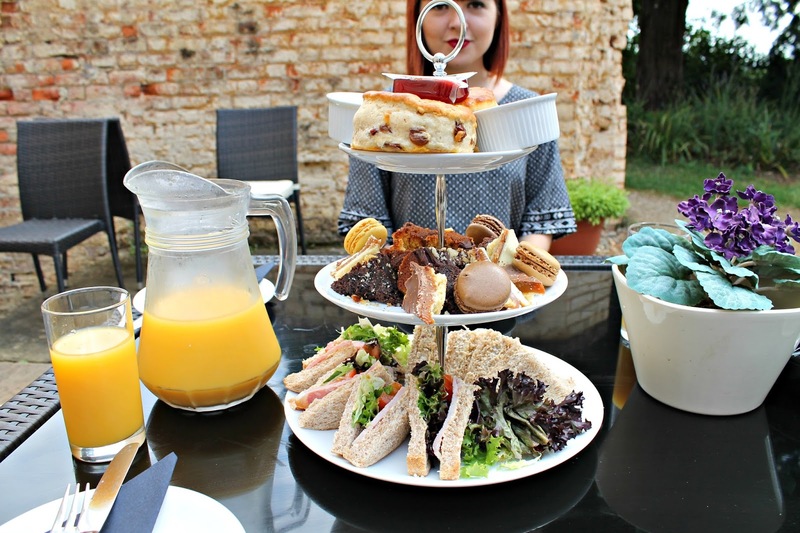 If you’re looking for somewhere beautiful for afternoon tea, I can’t recommend Moggerhanger Park enough, it was such a beautiful location, and if you don’t stuff your face on cake like I did, you can take a lovely stroll around the grounds afterwards.